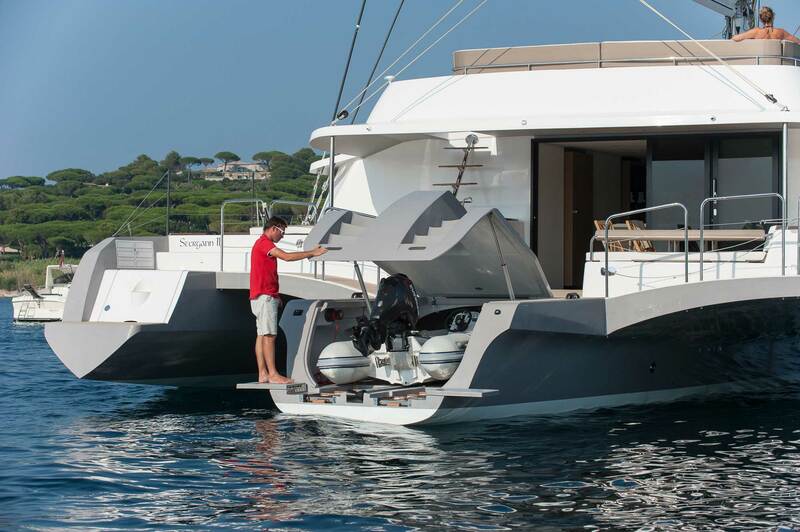 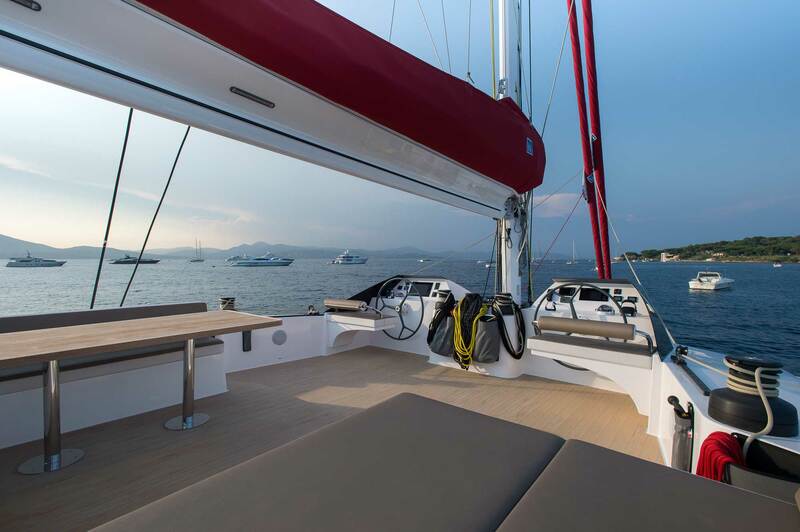 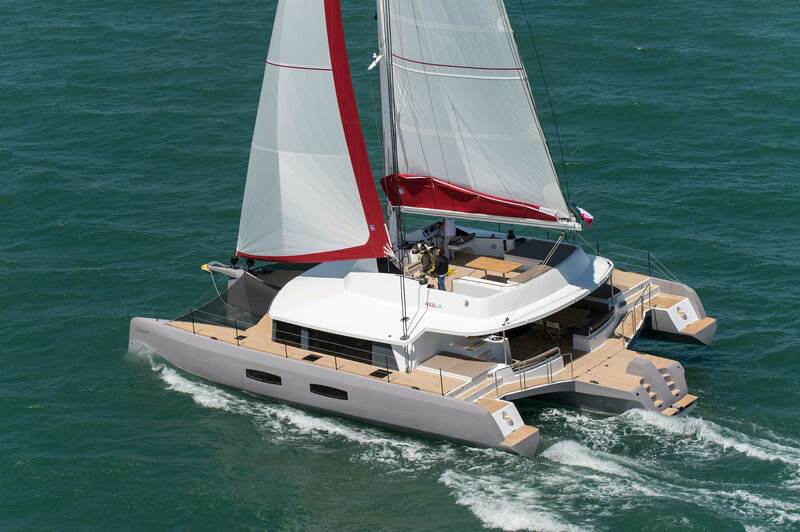 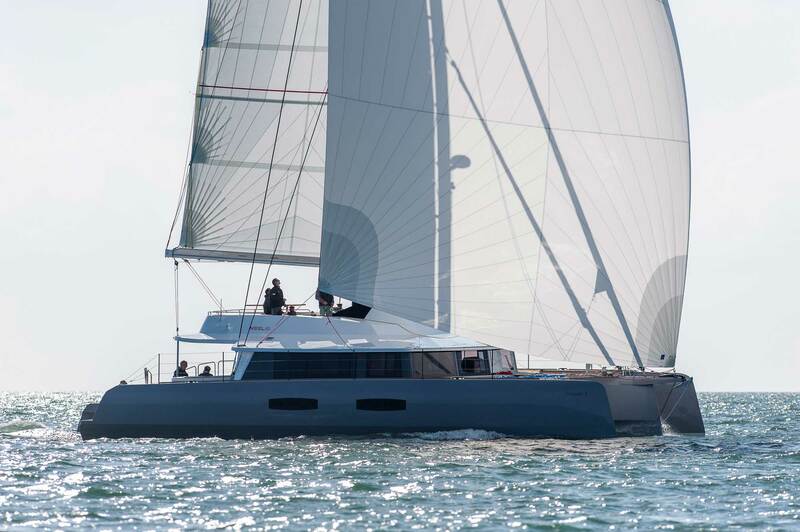 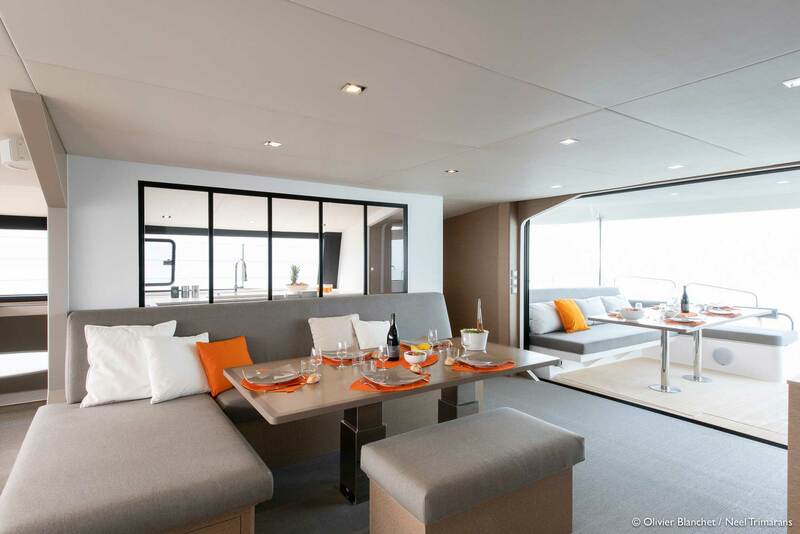 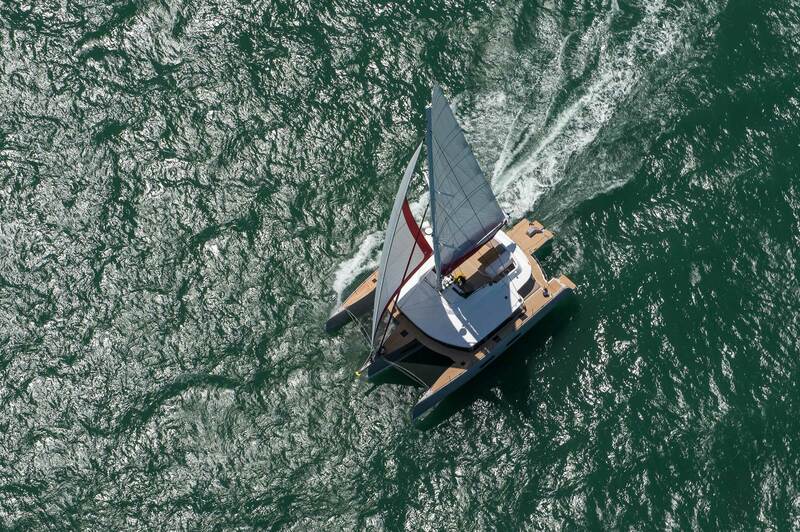 The NEEL shipyard situated in the French La Rochelle realizes a very modern ambience on almost 20 meters of ship’s length and she features the sam sailing performance as the smaller models. 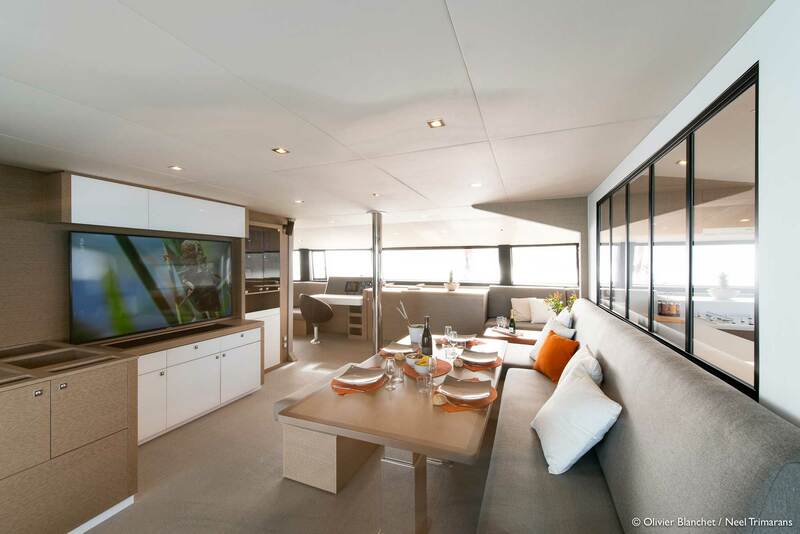 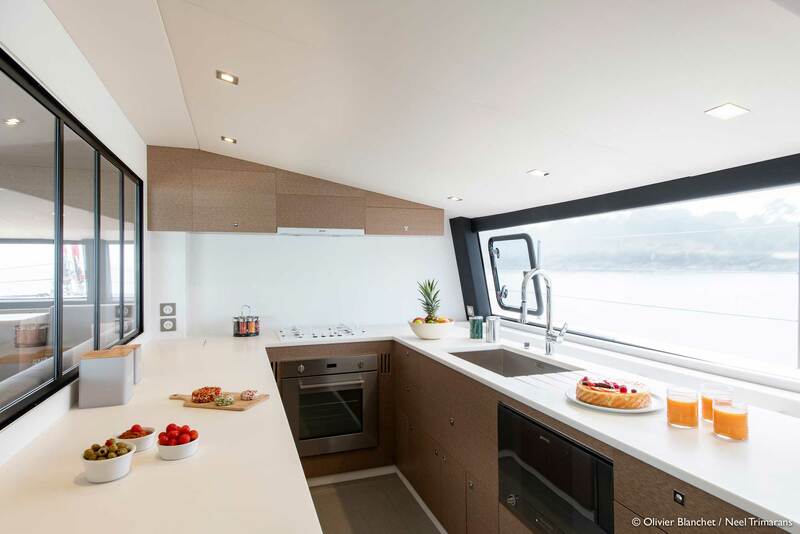 The concept of the huge main deck impresses with its spacious and generous feel including the huge kitchen area separated by panes from an adjustable dining table and a wide sofa area. 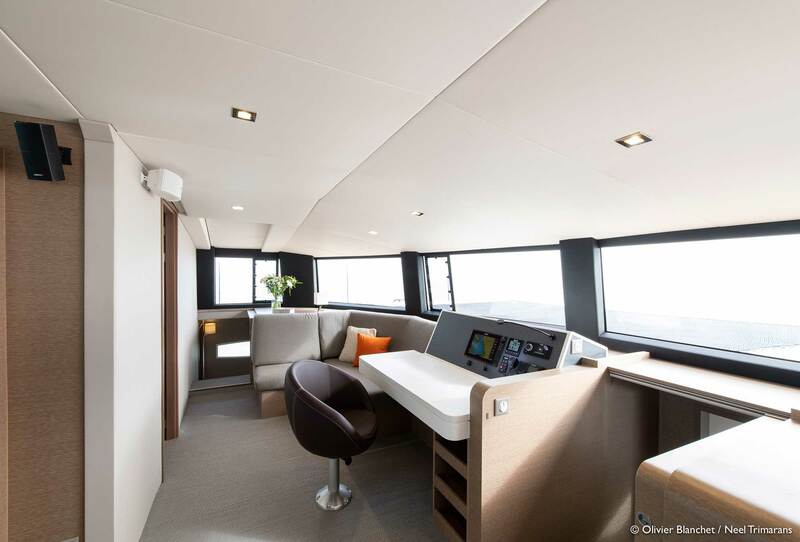 The smooth transition to the cockpit can be opened by a large sliding door that connects the salon interior with the cockpit to form the so-called Cockloon, a trademark of Neel. 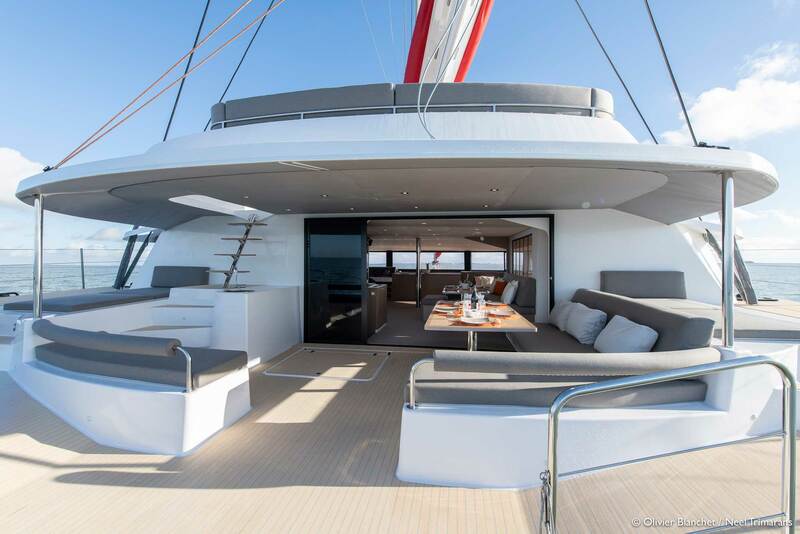 impresses with its “control center” – the cockpit located on the upper deck, from which all necessary functions for navigating and operating the sails can be reached. Several sunbeds, an inside steering position, rear garages with hatches and easily accessible technology with well-centered weights complete the concept. 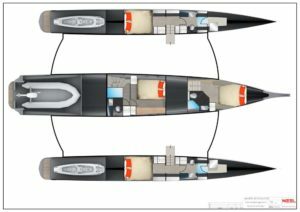 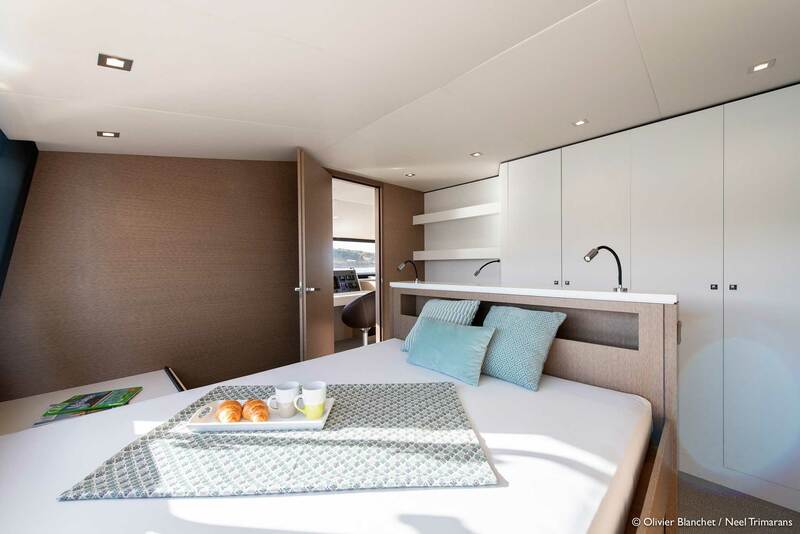 The Neel 65 Evolution is available in a variety of versions as a owner layout or for luxury charter cruises with up to 8 bunks. 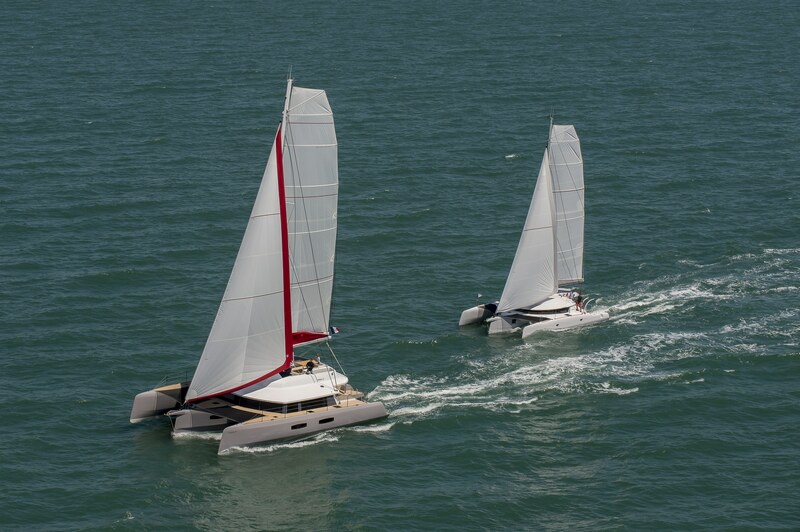 Do you have questions or would like more information about NEEL 65 evolution?